Current paper is devoted to the comparative investigation of the incremental and comprehensive analysis in accounting. I disagree with the statement that the incremental analysis is more economical than the comprehensive one being just as effective. I suggest that the incremental analysis is more economical, but it is less effective in comparison with the comprehensive one. 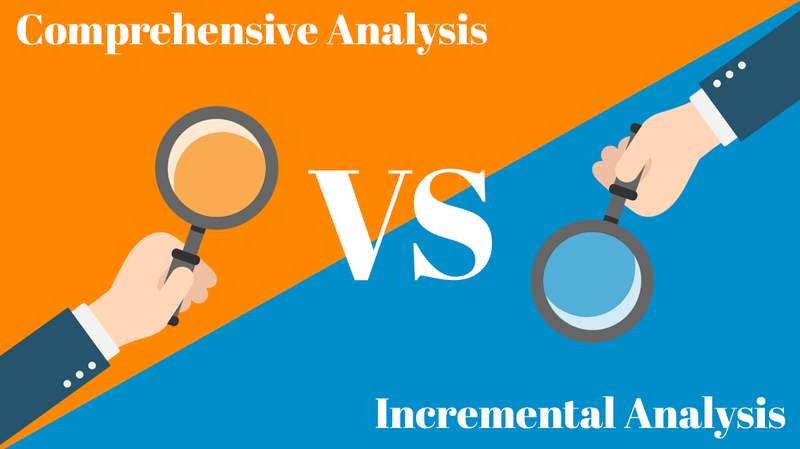 The incremental analysis may be defined as a specific technique used in accounting in order to determine the real cost difference between various alternatives. It does not take into account the costs of past periods as well as those costs that are the same for alternatives under consideration. This marginal approach is very economical and convenient (Po, n.d.). However, it is not as deep and effective as the comprehensive analysis. The comprehensive analysis takes into account all costs that are present in all alternatives. As some costs are equal, the field of analysis is typically much larger in comparison with the incremental analysis (Walther, 2013). It is less economical as a large number of additional information and factors should be analyzed. At the same time, it seems to be much more effective for a number of reasons. First of all, the whole structure of costs is analyzed. It is important for the correct understanding of all alternatives. Moreover, it is possible to determine all factors that influence costs and revenues regardless of whether they are equal for the alternatives or not. Thus, the comprehensive analysis presents the whole system of costs relationships in all alternatives under consideration while the incremental analysis is completely focused on marginal comparison of two alternatives. In fact, the incremental analysis only demonstrates the difference between the alternatives, and the structures of their costs are not determined. Therefore, the effectiveness of the incremental and comprehensive analyses is different. The comprehensive analysis is less economical but more effective. Po, L. (n.d.). Incremental analysis for decision making. Walther, L. (2013). Managerial accounting. New York: Create Space Independent Publishers Platform.